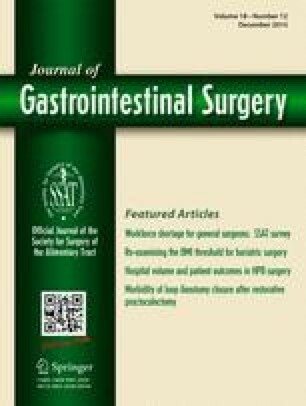 The aim of this pooled analysis is to determine the effect of single-incision laparoscopic colorectal surgery (SILC) on short-term clinical and oncological outcomes compared with conventional multiport laparoscopic colorectal surgery (CLC). An electronic search of Embase, Medline, Web of Science, and Cochrane databases was performed. Weighted mean differences (WMD) were calculated for the effect size of SILC on continuous variables and pooled odds ratios (POR) were calculated for discrete variables. No significant differences between the groups were noted for mortality or morbidity including anastomotic leak, reoperation, pneumonia, wound infection, port-site hernia, and operative time. The benefits of a SILC approach included reduction in time to return of bowel function (WMD = −1.11 days; 95 % C.I. −2.11 to −0.13; P = 0.03), and length of hospital stay (WMD = −1.9 days; 95 % C.I. −2.73 to −1.07; P < 0.0001). Oncological surgical quality was also shown for SILC for the treatment of colorectal cancer with a similar average lymph node harvest, proximal and distal resection margin length compared to CLC. SILC can be performed safely by experienced laparoscopic surgeons with similar short-term clinical and oncological outcomes to CLC. SILC may further enhance some of the benefits of minimally invasive surgery with a reduction in blood loss and length of hospital stay.